Shopping the easyfundraising way with Unwins, could not be easier. Follow the instructions below, and create an account today to start supporting a cause or charity of your choice. Unwins are one of the UK's leading seed & plant suppliers. They offer a wide range of gardening products such as flower & vegetable seeds, flower bulbs & plants, sweet peas, fruit plants and trees. 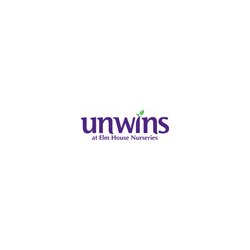 Unwins have an excellent website, with a wide range of products with comprehensive growing guides.